It’s not often that I decide to eventually consider to do a bike tour. But today such a eventuality occurred. Cutcat, Namenlos, Phillip and myself thought it might be a good idea. But first we had to check my bike. 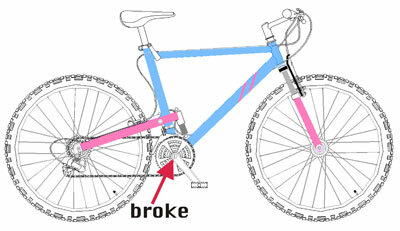 And guess what: the bottom bracket is broken. Perfect!